The very first thing you will reckon while creating a new or rebuilding your existing business website would be how you can draw traffic to the site. Most of the website designing companies, as an approximation, focus more on the technicalities and the design of the sites, and not on the other aspects related the content. They mostly keep it in the last phase. Be conspicuous, you need a website so that your potential customers can find accurate information about your product or services, and can reach you with without any hassle. 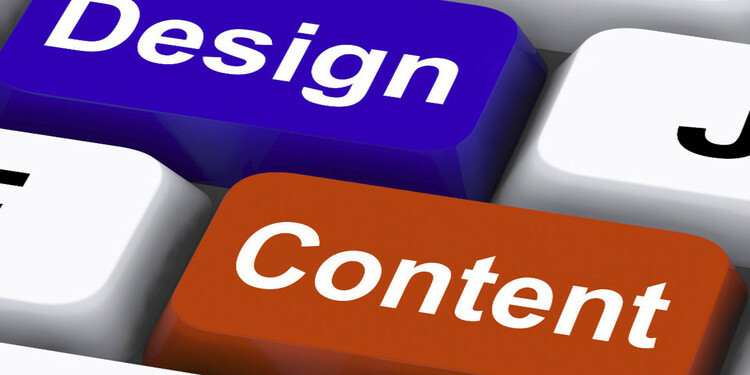 Therefore, the design of your website should be plotted around the content, and not other way around. The Content-First strategy doesn’t mean you should pause your designing process till you have prepared and are ready with the entire important contents. It rather means considering the content over and above any other aspects involved in your website process. This means, it would be beneficial to use real content, instead of placing a dummy file with the images. Even rough contents can be a good guideline for the design of your website. This content-first strategy is not only helpful to the designer, but can also help your potential clients in making better decisions. Won’t it be a great achievement of your website? Moreover, you, alike many other website owners, might have expected that your designer should work on the design first and then manage content in the last phase. Well, this would not be a smooth process. Here are a few aspects to infer why you should adopt Content-First strategy. You might have heard about the phase, content is king. No matter how beautiful your website look, if the content is not up to the mark, your website might make waves online. Using Content-First strategy means focusing more on the content, and mounting up your website with relevant and quality articles, blogs, etc. The Content-First approach efficiently saves time. This means your website process will be finished on a specific deadline. It also helps you to assemble all essentially required assets and determine their value to your website. Once all the major factors are discussed with the designer while working on the content, less possible time will be spent on the design process. Not only time, content-first approach also save on the administrative as well as development cost. Preparing content up front means preventing changes towards the end, which generally increase the costs. The content-first approach develops an easy communication with the target audience. This means, emphasizing the goals and functions of your website with more clarity. Contents attract visitors. Of course, the design does play a great role, but embellishing them with design or any other special effects will drive the visitors away from the content. Keeping content as the central focus, helps you create a good reputation online. Surely, branding is important, and your content is similarly important for your brand. It builds a good reputation which is important to earn credibility and influence, what helps you further to convert more and more visitors into returning customers. Ultimately, working with this strategy, means, to prioritize the audiences that go online to search the required content that can fulfill their needs. Don’t forget, you will be focusing on what they need and are looking for. So, make sure your content is as worthy as possible. Sign a service agency that can offer you professional copywriting and content strategy services. No matter whatever path you choose, it is very important to work with someone that understand your business and the targeted audiences. And, should be great in writing and editing. To make sure things are going well as planned, a professional will often spend a lot of time to explain and map out the process with you. To be more clear, professionals will keep you updated about the things that are to be done, and adapting the content-first strategy the entire process of website design and development would be far more productive and sociable.